Still looking for that clean smell? 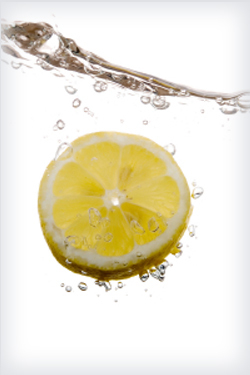 Cut a fresh lemon into slices and put it into a bowl of water. The clean smell of lemons is refreshing. Green Cleaning is better for you as well as the environment. There are a lot of new cleaners on the market today that work just as well as the old standbys. I invite you to try a new Green Cleaner for yourself and you will be surprised how well they work. Keep in mind your kitchen is full of natural cleaners as well. Baking soda, vinegar, and salt just to name a few. These are great to clean your kitchen. Vinegar is a grease cutter. Baking soda and salt are good for general cleaning. Central Cleaning will Green Clean your home or office. Use the form below to request a cleaning quote for Greening your space. What is the size of the area (in square feet) of the area to be cleaned?